North Carolina's Video Game Party! Birthday Parties - Corporate Events - School Functions - Fundraisers & More! Rockin’ Rollin’ Video Game Party is great for all ages, from kids to adults! We’ve got video games of all kinds to suit just about every taste and style! Reserve your date today! Rockin’ Rollin’ Video Game Party is great for Corporate Team Building, Grand Openings, Promotional Events, Employee or Customer Appreciation and much more! Rockin’ Rollin’ Video Game Party is perfect entertainment for North Carolina School Functions, Student Rewards, PTA and PTO events, Safe Graduation and Post Prom fun!. Go to	Laser Tag Parties! We’ve got North Carolina’s best laser tag party, too! Our sister company, Backyard Laser Tag Party, brings the best action-packed laser tag right to you! Click the link above to visit our site! Don't let your date & time get booked up! We've got the ultimate mobile party - and we bring it right to you! 29 can play at once! You've never thrown such an easy party! We bring our mobile video game theater right to you! 29 can play at once in this climate-controlled video gamer's paradise! Neon and Laser Lights and Pumping Sound enhance the party experience! Rockin' Rollin' Video Game Party brings you the best video games on the newest consoles. 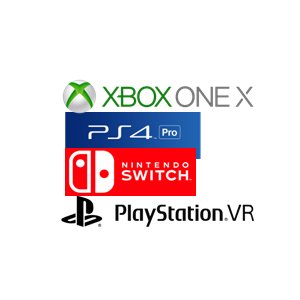 We've got the XBox One,, the PS4, the PlayStation VR Virtual Reality console, and the Nintendo Switch! Our professional Game Coach instructs players, encourages the fun, and runs the party while you relax. Your home stays clean while the party rages on inside! We service Pinehurst, North Carolina as well as Moore, Lee, Scotland & Montgomery Counties (and parts of Chatham and Wake Counties) with the very best in Birthday Party, Corporate, School Function and Fundraising FUN! Rockin' Rollin' Video Game Party has it ALL! We’ve got consoles from XBox One, PlayStation 4, Playstation VR and Nintendo Switch! And dozens of wireless controllers let everybody play at once! Our housewarming party was a party to remember. Both kids and adults had a blast. Thanks Kevin for keeping the kiddos well occupied. We will be using again!! Amazing time with the video game party trailer! My son and his friends had the best time (and so did the parents). We all got into it and had a very fun evening! 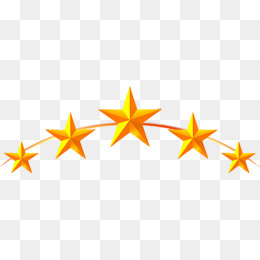 Great customer service, great with the kids, punctual: a perfect experience with your company! Thank you so much! We’ve booked Rockin’ Rollin’ Video game truck and outdoor laser tag twice for my kids’ birthdays and have not been disappointed either time!!! The kids and parents alike have an amazing time! The guys are professional and fun! Awesome! Awesome! Awesome! Ready to book the BEST party ever?